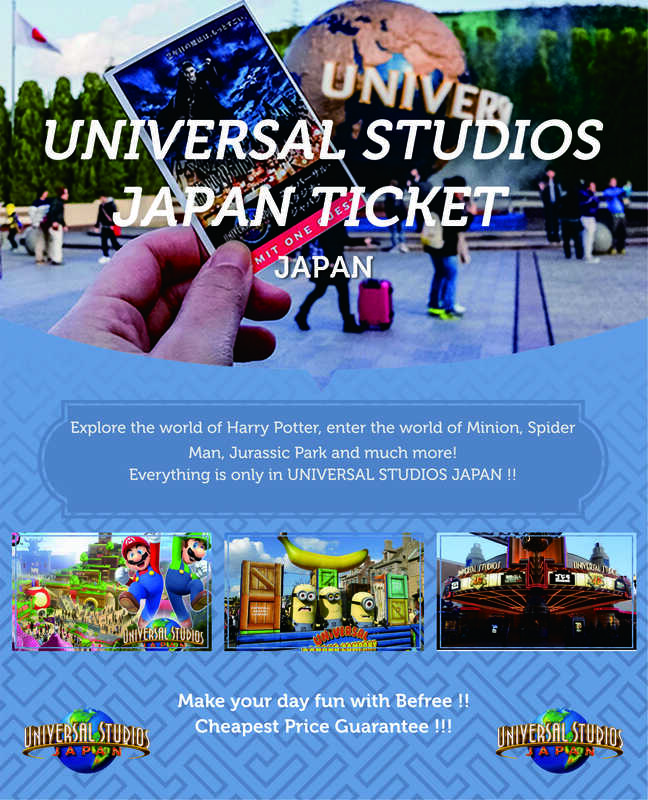 Get your Universal Studios Japan Ticket. Try the incredible world of Universal Studios Japan in Osaka!. Rebuild the dramatic scene from your favorite blockbuster - in one of two locations in Asia!. Enjoy the sensational sensation of Universal Studios Japan rides. Meeting with a new dimension of excitement with attractions of Despicable Me, Minion Mayhem, Spider Man, Jurassic Park, Jaws, Terminator and Shrek 4D. Feel the first wonders of Hogwarts castle and the village of Hogsmeade before boarding the wizard-themed rides and other attractions in the Harry Potter Wizarding World. This adventure park is sure to spoil the fans of fantasy movies. 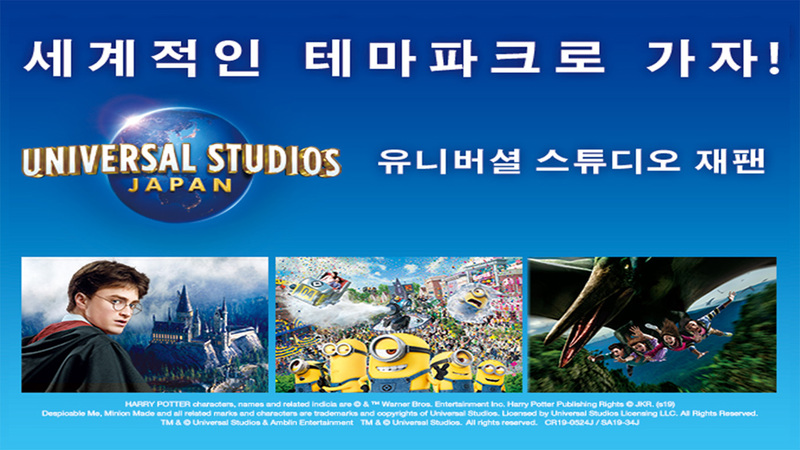 Purchase your best universal studio japan ticket price online to see your favorite movie attractions in one of Japan's best theme parks! Grab food at Universal Citywalk Osaka before entering the park to fill your stomach and save money. You can present either a printed or mobile voucher for this activity. By ferry: Captain Line transfers people to and from Universal Studios Japan and Osaka Aquarium. Welcome to the incredible world of Universal Studios Japan! Feel the dramatic scene from your favorite blockbuster - in one of two locations in Asia! Discover a new dimension and experience the excitement with the attractions of Despicable Me, Minion Mayhem, Spider Man, Jurassic Park, Jaws, Terminator and Shrek 4D!. Feel the first wonders of the magnificent Hogwarts castle and the village of Hogsmeade before boarding the wizard-themed rides and attractions in the Harry Potter Wizarding World. This adventure park is sure to spoil the fans of fantasy movies!. You can also get universal studios Japan special entry for a special ride that you will never forget along your life. Q: I'd like to make a reservation for a tour. When do I have to? A : Although it varies from one tour to another, we recommend that you book at least seven days in advance. This is because seats may be closed in advance or the tour may not be completed due to overtime. If you need to make a reservation in a hurry, please call us at +62813-9391-5790 or check your availability via Whatsapp. Q : I have made a purchase on the webpage but I have not received the voucher. What do I have to do? A : In the event that you do not receive an email from us, please check your Spam folder via email or call us at +62813-9391-5790. Q : How can I cancel my order? And if I cancel my order, will I get a refund? A : Unfortunately for this activity there is no canceliation can be made and we do not give any refund if you cancelled this activity. Q : Can I enter this activity directly with my voucher? A : Yes. You do not have to redeem your voucher to enter this park. Q : Is Transport option included for this activity? A : Unfortunately we do not provide transfer service for this activity. Q : Until when can I use this voucher? Q : How do I change my order? A : If you want to change your order, please made at least 72 hours prior to the activity. 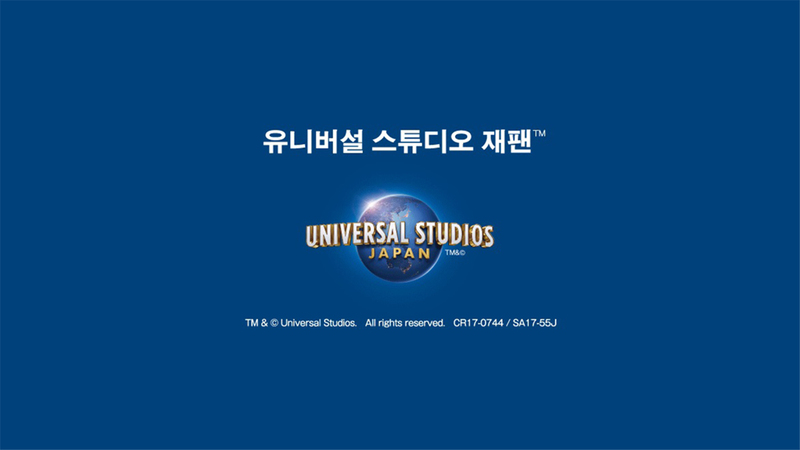 Q : What times does Universal Studios Japan open? A : Universal Studios Japan hours vary with time of year, the day of the week, and other factors. You can find those current Universal Studios Japan hours at their website.